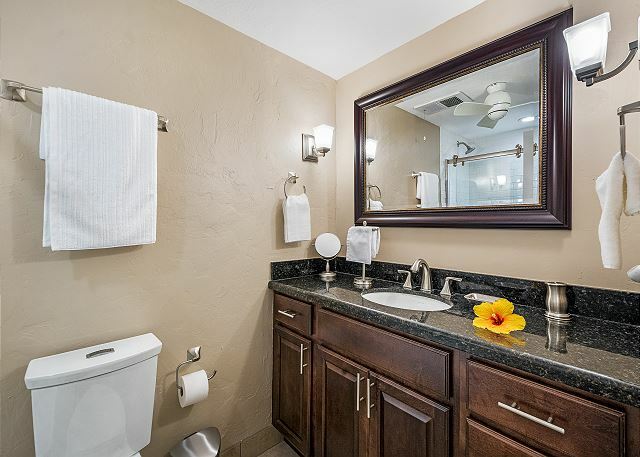 This beautifully remodeled 1 bedroom 1 bathroom unit makes for the perfect retreat for a Big Island Vacation. 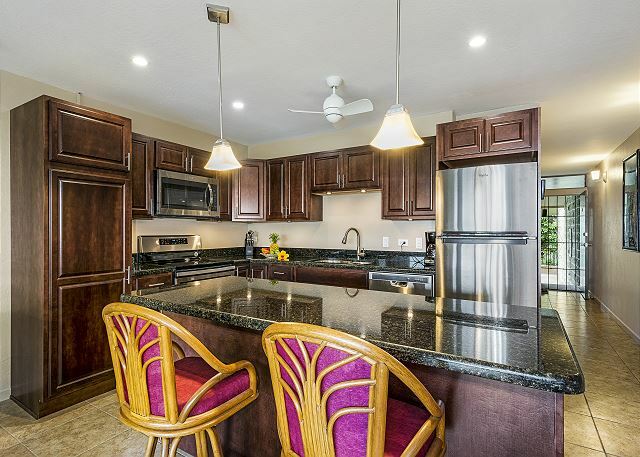 Enjoy breath taking views from the spacious Lanai, while simultaneously luxuriate in the comforts of home with the well equipped newly remodeled kitchen. 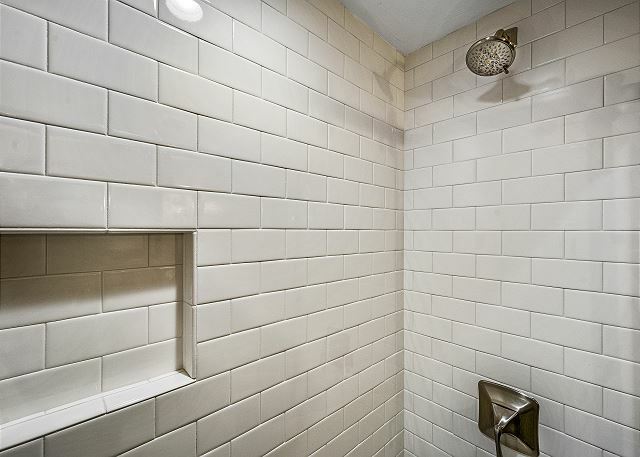 Everything is kept seamless with newly installed tile floors throughout the unit. 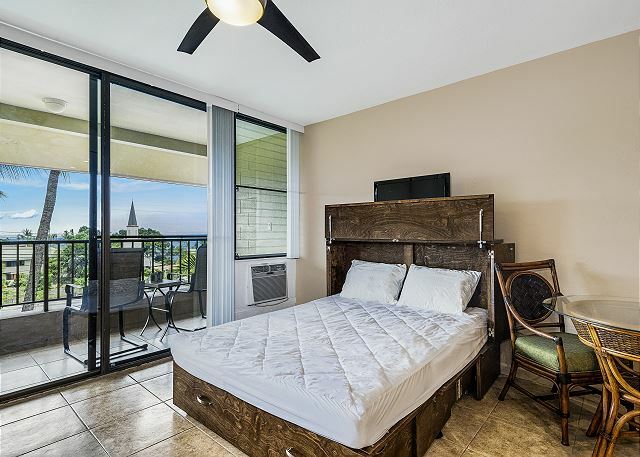 This condo features an extremely comfortable built in Queen sized pull out bed for the additional members of the party. The unit also features air conditioning the living room and bedroom for those warm Kona days. What more is there to say besides you need not look further! 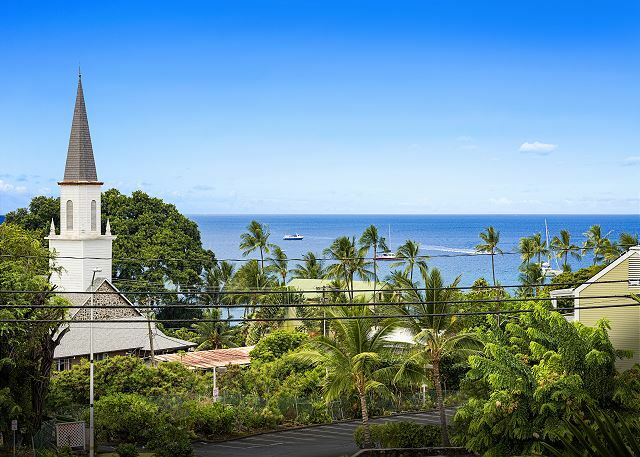 Kalani Kai is conveniently located, a great home base to explore the many wonders of the Big Island of Hawaii including the Volcano National Park, Mauna Kea Observatory, coffee and macadamia nut farms, artist communities, and more! This unit is equipped with Free WiFi. Condo is in very good condition. Has all the kitchen equipment we needed to fix meals in the condo. Easy walking distance to the markets and stores. Is on the third floor and there is not a elevator, stairs are good for you! Nice pool area. Has cable TV. Has a three ring binder of information which was very helpful. Nice view from the balcony. This condo was perfect for our family of 4. It is beautifully renovated with comfortable furnishings and all the amenities we needed. It’s an older building but this specific unit is practically brand new and so is the pool! I was a bit worried that the pool wouldn’t have much shade, but later in the afternoon, the sun goes behind the buildings and it’s perfect at the pool. It’s in an excellent location. 10 minute walk to Alii Drive where all of the shops and restaurants are so we didn’t need to get a rental car which was awesome. Overall, for the price especially, this place is perfect! Thank you for posting this wonderful review of your experience at the property! We are happy to hear the condo was perfect for you and the family and was comfortable. Thank you. We sincerely hope to see you guys again soon. Simply remember that the best possible rates are found directly through Boundless Hawaii. This was a wonderful place to stay! It is close to the ocean with a great balcony for sipping coffee and watching the boats move on the Pacific Ocean. The condo was very comfortable and close to shopping. Some historical sites are only a few minutes walking distance away. We really enjoyed our stay here. Having our own designated parking place was great too. Thank you for the wonderful review of your experience at the property! I am happy to hear you had a great condo and had enjoyed your time here in Hawaii. We sincerely hope to see you guys again soon. Simply remember that the best possible rates are found directly through Boundless Hawaii. Vacation adventure on the Big Island was fantastic. The condo is just across the street from downtown Kona were all the excitement is for music and resturants. We were able to fly into the volcano area to see the lava flow and fissures burning on a helicopter charter. Rented a jeep and drove to green beach and black beach and to the observatory. We drove from one end of the Big Island to the other end all in 7 days. 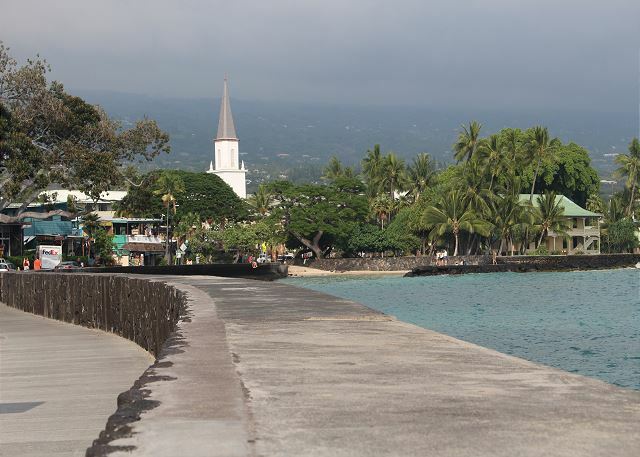 We were not bothered by the vog during our stay in most of the areas we drove or in Kona. We will tell our friends to come to the Big Island and stay in Kona. Thank you for letting us stay in this condo. It was so convienant to everything we wanted to do on the Big Island. Mahalo Wanda & Jerry! It seems you used your time wisely and took in a lot of what the Big Island has to offer! 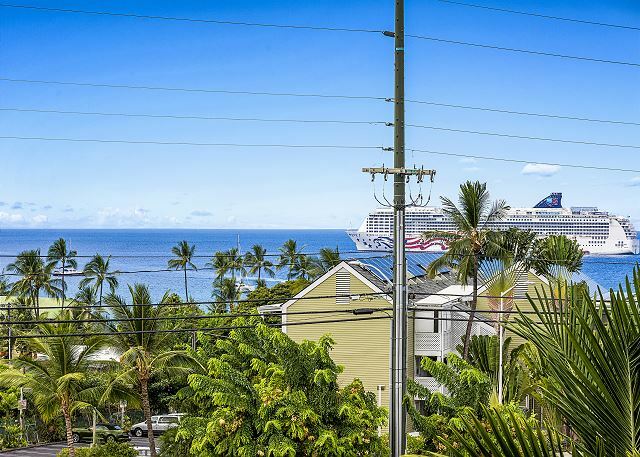 Glad to hear you weren't bothered by the Vog and would love for you to stay with us again! 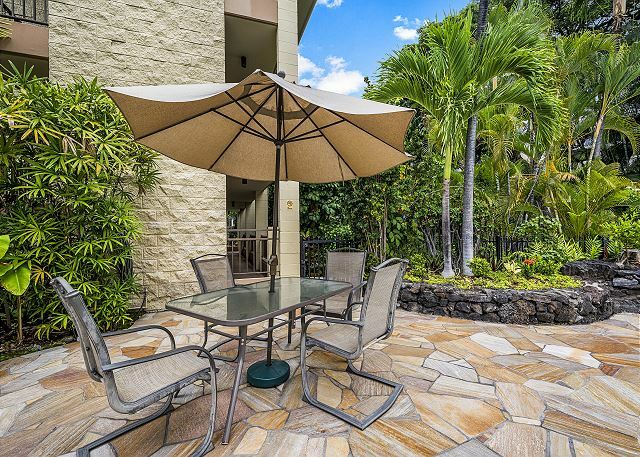 Really nice 1 bedroom condo right in the heart of Kona. 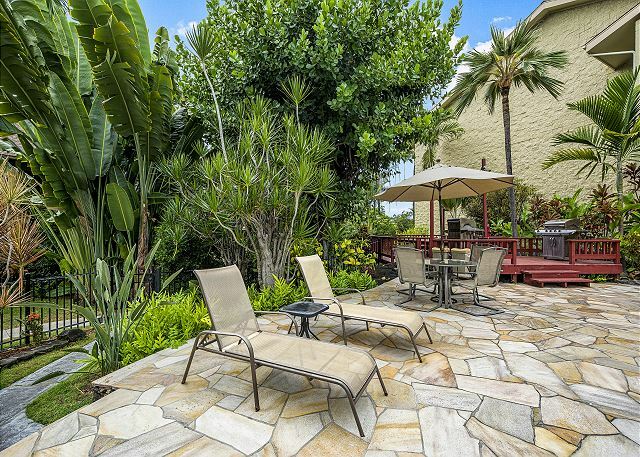 Walk to restaurants and nightlife out your front door. Pull out bed was great for the kids and very comfortable, while the master bedroom was nice for us parents. 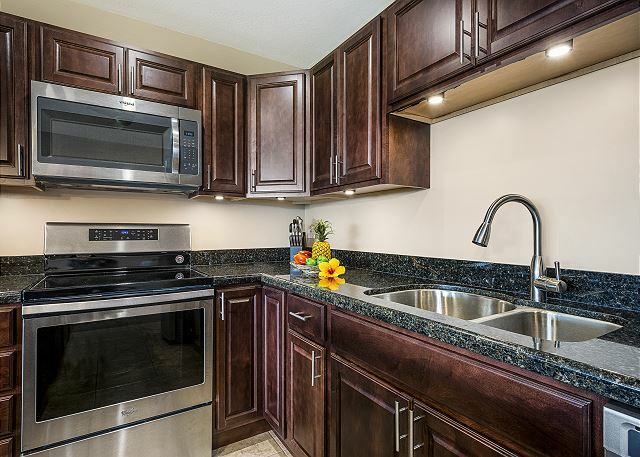 Very clean and updated appliances. Made for a very convenient home base for our stay on the big island. 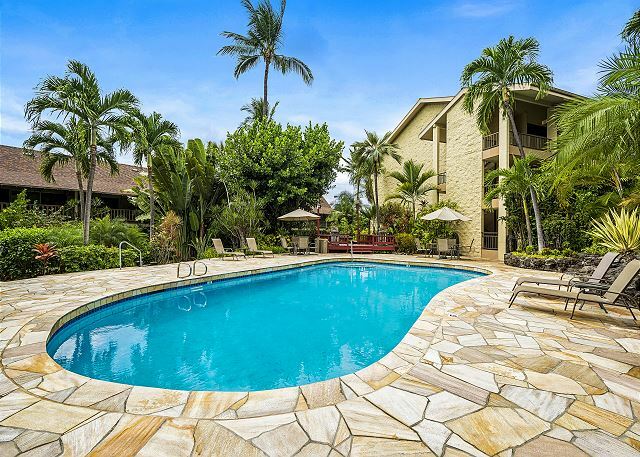 Mahalo for your 5 star review of Kalani Kai 306! We hope to see you again soon! We found this place on Homeaway. It's close to everything, no car needed. It is nicely updated, clean, and nice views. We all fit comfortably. With my mom, husband, baby, and myself. Plenty of room. that's a bonus. Couch was a bit uncomfortable, plus I'm not a fan of wicker furniture. My mom smokes, so the walk to the smoking area was far for her, and it turns out there are homeless people hanging out camping at the smoking section. She had to find a new spot, because she wasn't comfortable. We did have a hard time finding the condo, because the directions weren't clear. We had to ask the maintenance guy. It is on the top floor which I wanted, but no elevator. That was a bit difficult. After hiking everything up, we didn't realize we couldn't check in yet. We called the rental company and they were kind of enough to let us in early. The condo needs curtains in the bedroom, it was so bright. It was kind of horrible given we had our 7 month old son, and he would get confused. The room could use a king bed, there was plenty of room. That would of been nice to have. The condo had AC throughout which was awesome. The neighbor next door I could hear snore sometimes, or talk. It also smells like cigarettes going by his/her place. That's how you can tell your condo is next door. Other than that, it is pretty quiet. We would stay again only if the condo gets curtains, the king bed isn't a deal breaker. A rice cooker would be nice, and more beach stuff, especially beach towels. We didn't use the pool at all, the mosquitos were bad by the pool. Thank you for taking the time to give us this feedback. Firstly, we are very happy to hear that you enjoyed not only the convenient location and the views at the condo, but the spaciousness and desirable AC as well! We like these features too! Regarding the directions, we have evaluated what's currently in place and agree that additional instructions from the parking space would be helpful. We are currently in the process of adding more details to those directions. We are also glad that we were able to accommodate an early check in for you. Please note that if you decide to book with us again in the future, early check-ins can be requested and arranged ahead of time for your convenience. This is stated in our correspondence and we are happy to accommodate whenever the situation allows. Regarding the fact that there is no elevator, we would like to reiterate that unfortunately there has never been an elevator at this complex and so we do not market it with one. The information about the neighbor is something that we will bring up to the resident manager to handle appropriately as needed. We also hear you in regards to the mosquitoes - unfortunately it is that time of year for us and one of the few downsides of a tropical environment. We hope that you understand that the situation of the homeless comes as a bit of a surprise to us and we apologize if it affected use of the smoking area. This concern will be brought to the attention of the association of the complex and requested that it be discussed at their next board meeting as a valid concern. 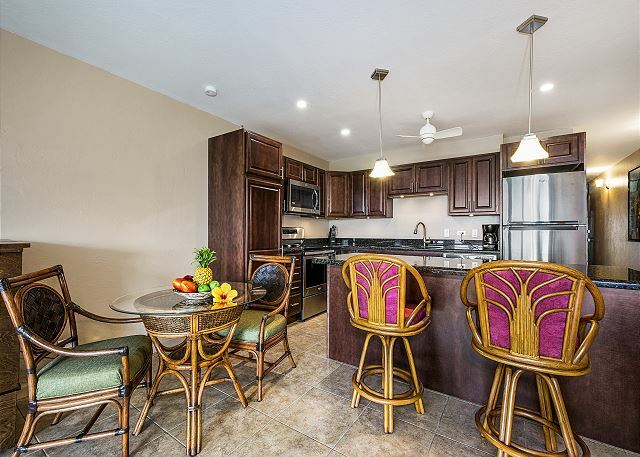 Finally, we take all of your suggestions about the furnishings, appliances, and accommodations seriously and we will be happy to encourage our owners to consider making any viable changes. All of our guests are invited to contact our office here in Kona at any time during their stay with issues or requests that we may be able to assist with. More often than not we are able to make your stay more comfortable and enjoyable! 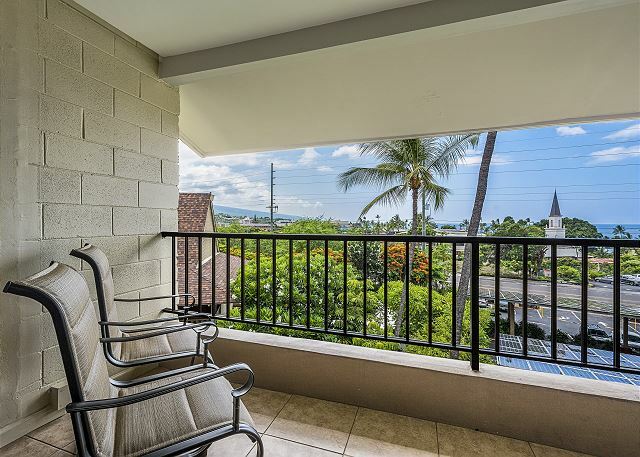 If you're looking for a quiet and friendly place, KalaniKai 306 is it. The room we stayed in was clean, comfortable, and stocked with basic necessities for a few days. Communications with management was clear and professional months before our arrival to our Condo. As a annual traveler to Kona, we will try and reserve this Condo for next year. We look forward to your future stays with us David! Convenient location, well-equipped, and good parking. There was extra attention paid to identifying light switches which was very helpful. Wish we would of known that there was an extra queen bed available in the living room prior to arriving. Richard, happy to hear our efforts to better each guests experience have been successful. I'm sorry you missed the mention of the hide-a-bed in the unit advertisement. We hope you'll consider us when visiting the Big Island again in the future. My wife and I had a wonderful stay at Kalanikai 306 with our young son. The accommodations were clean and mostly well-stocked. The newly-remodeled kitchen was nice to cook in (the only thing missing was a blender!). We really enjoyed the community pool and close proximity to dining, brewery, and groceries. The entire complex was pleasantly quiet. It seemed to be a mix of tourists and locals. We weren't bothered by it, but the assigned parking space was a bit far from 306. We had to walk around the building and up to the third story. No elevator on premise. 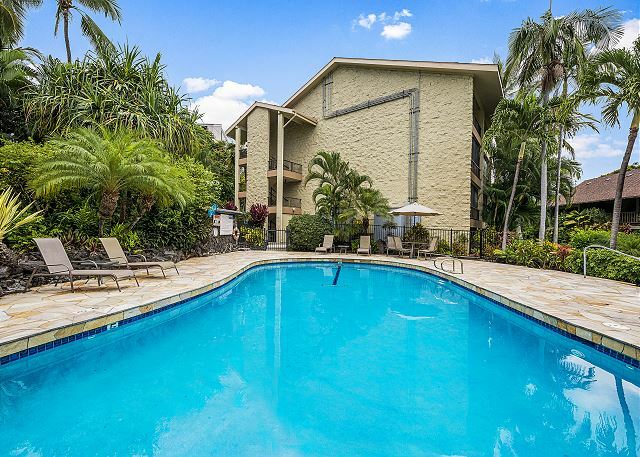 Overall, we would recommend Kalanikai 306 to fellow travelers. I am sorry to hear the that a blender was not available to you. We will add one to the unit immediately for future guests. I must agree the parking is not the most convenient, however I am glad to hear the other complex amenities were to your liking!